New potatoes are harvested from growing leafy plants in late spring and early summer. 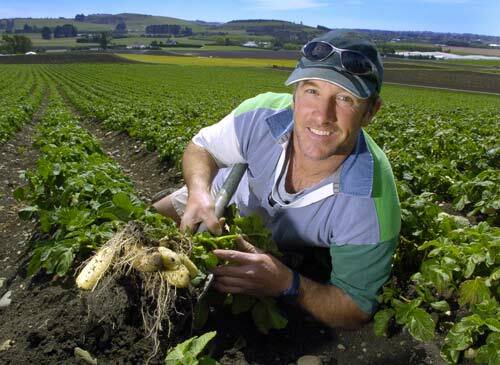 Here Lindsay Smith of Brydone Growers, Ōamaru displays some of his Jersey Benne potatoes. They were the first to be dug up in the 2006/7 growing season.